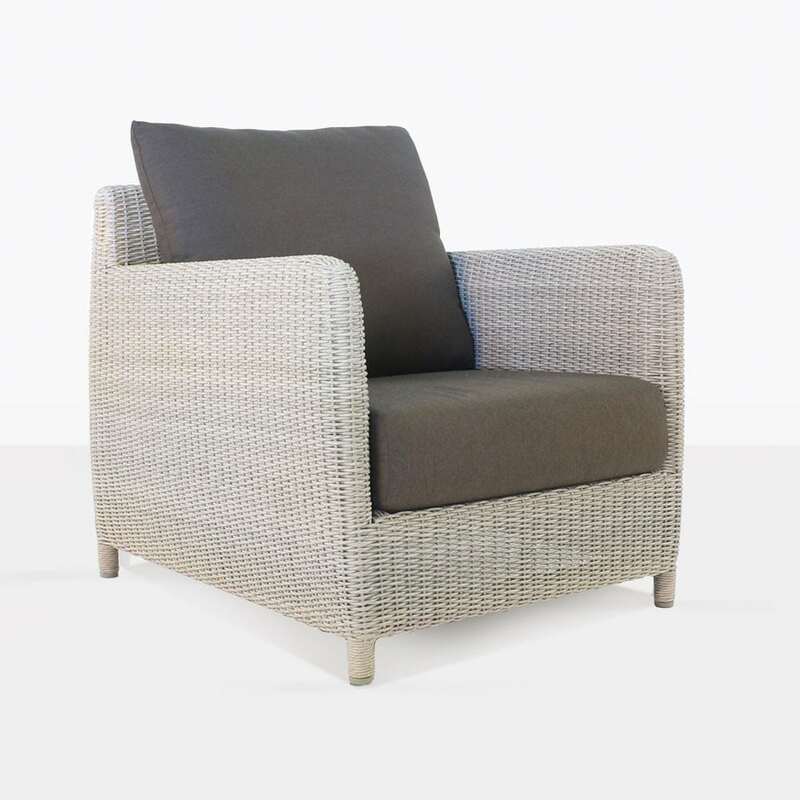 Take a moment for yourself in the great outdoors with the excellent Valhalla Wicker Club Chair in charming Chalk! A joyful combination of amazing ingredients in a perfect package, the Valhalla Club Chair is part of the stunning Valhalla collection which marries traditional values and state of the art materials. The Valhalla Chalk Club Chair has a delightfully wide and deep seat, perfect for curling up in and having a break from the busy world in the peace and serenity of your surroundings. Curved edges on big, wide seating makes Valhalla a welcoming and stylish design that you will be happy to spend hours in. Set up two of your Valhalla Wicker Club Chairs on either side of the Valhalla Sofa for a perfect seating collection to house small parties for casual dinners, drinks on the weekend, and a retreat for the whole family to enjoy! Perhaps a Club Chair on its own with a small side table are the perfect pieces to create an area just for you to unwind in after a long weeks work. 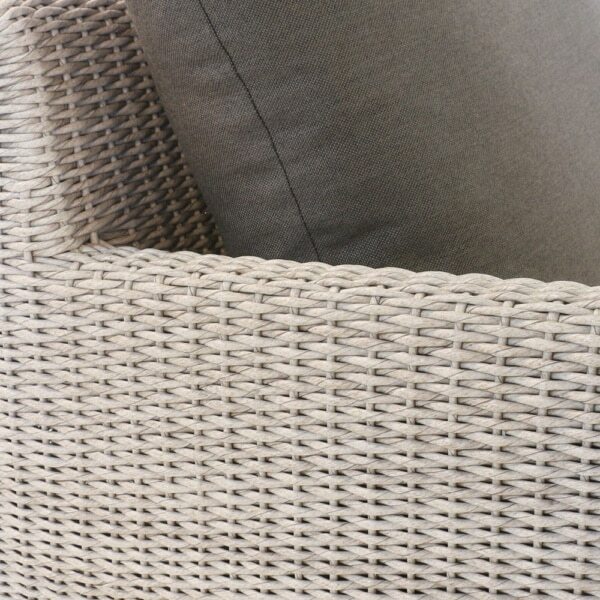 Our amazing Valhalla Outdoor Wicker Collection is constructed using the best materials for use outside. Starting with the strong and robust powder coated aluminium frame that is rust resistant. Our outdoor wicker is an amazing material, which is through dyed and UV treated for extra strength and looks absolutely gorgeous. The frame is topped with Sunbrella® cushions filled with QuickDry® foam. 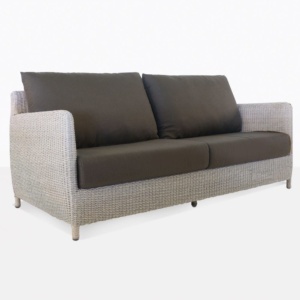 Design Warehouse is the leader in outdoor furniture. We are proud to carry a wide variety of deep seating, dining, reclining, accessories and umbrellas…. Everything you need to make your own urban retreat. The Valhalla Club Chair in Chalk is available now. Call us today to order yours!